Do you remember that blog candy I received? Well, it included Maya Road’s Butterflies and Bugs chipboard collection. Prior to receiving that wonderful bit o’ blog candy, I had NO chipboard of any kind. 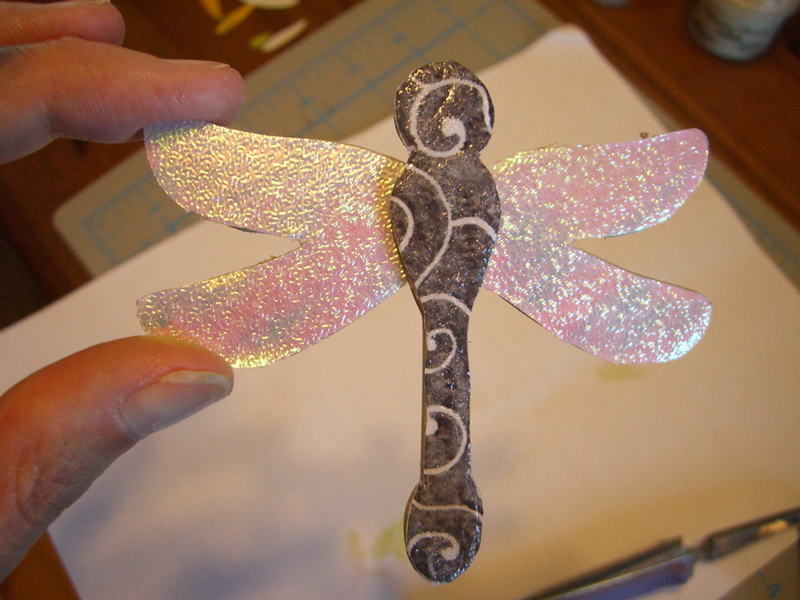 SPECIAL TECHNIQUES: I covered the dragonfly’s body with scrap paper from my stash (which I happen to know is #11117 “Melody” by Renae Lindgren for Creative Imaginations (in case you are interested). 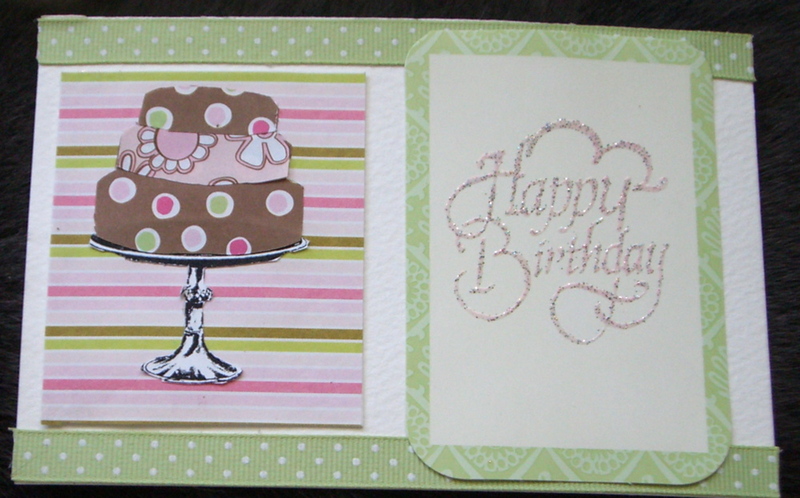 Using Itoya’s O’Glue (which I love), I emboiled it with Ranger clear embossing powder to give it shine and texture. What is “emboiled” you ask? My term for what happens when you get your embossing powder to boil. I used this technique here too. 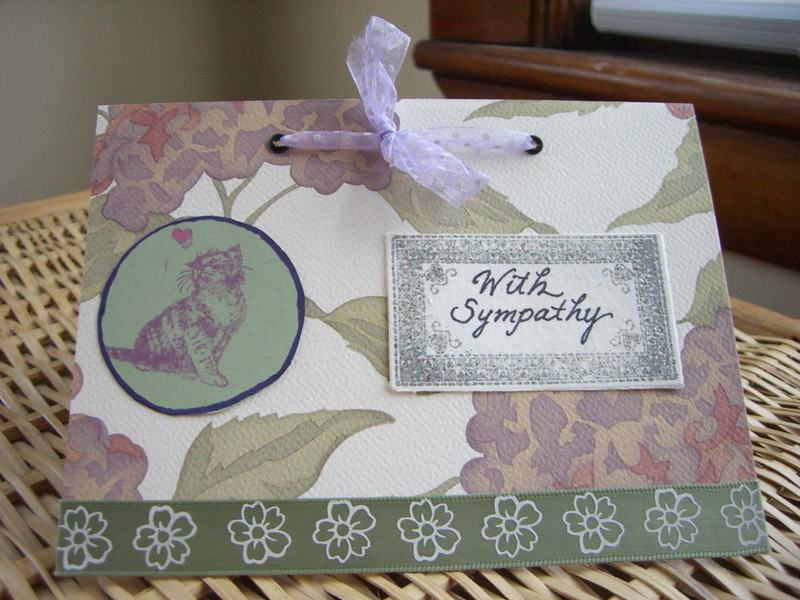 With the clear embossing powder, you get a neat effect–patches of bubbly white, basically. TOOLS: This was my first go with a Coluzzle (Provo Craft) and Coluzzle knife. Hmm. Not as easy as it looks…especially with origami paper. Jury is still out. Silly husband suggested: “Find something that is shaped like a circle and the right size, and use that.” HAH! There is NO room for practicality in my creative space! NONE! (ok, so it probably would have looked better if I had done exactly that). 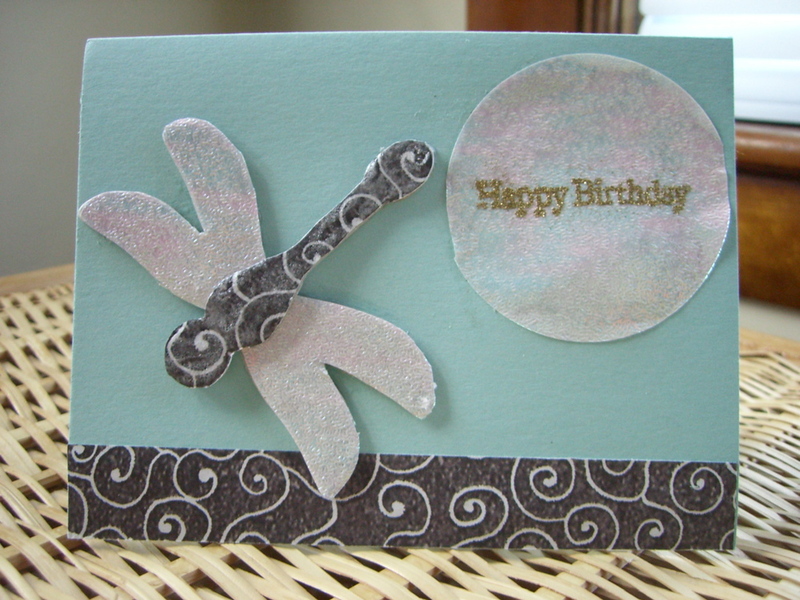 MATERIALS (not listed above): Maya Road chipboard; “Aurora Wave” origami paper (Yatsumoto)–gives lovely iridescence for the wings which you can’t really see in the photo; “Happy Birthday” acrylic stamp (Target); Gold Embossing Tinsel (Personal Stamp Exchange). Eco-Crafting Carnival and Good Contest! 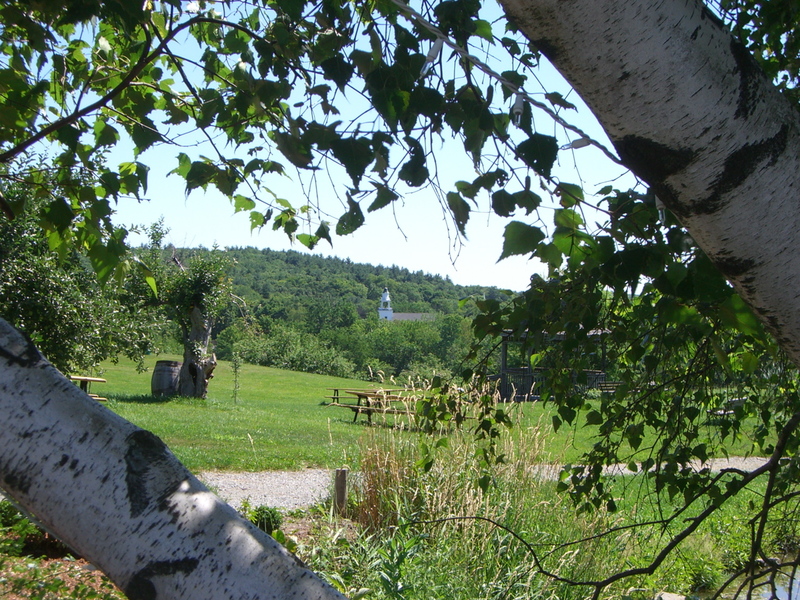 I have two wonderful items to tell you about this morning! The first, is the Carnival of Green Crafts, which has been kicked off over at Crafting A Green World. 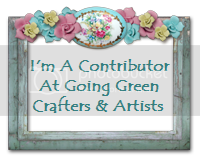 They’ve linked to yours truly, but I invite you to go and spend some time looking at all the other wonderful featured crafters–ESPECIALLY in the paper arts (“Paper Talk”)! The second, is a great contest hosted by my friend Shaz. I’ve talked about Shaz’s beautiful totes and bags before…but now you have a chance to win one, and all you have to do is help feed hungry people!! See the details on her blog about Free Rice, where they’ve figured out an free, easy, fun, and educational way that you can help donate rice to hungry people. And now, as an added bonus, you will get one of Shaz’s stunning creations if you donate the most rice by Sept. 1! A true WIN-WIN situation all around!! And all you have to do is spend a couple of minutes clicking the mouse! 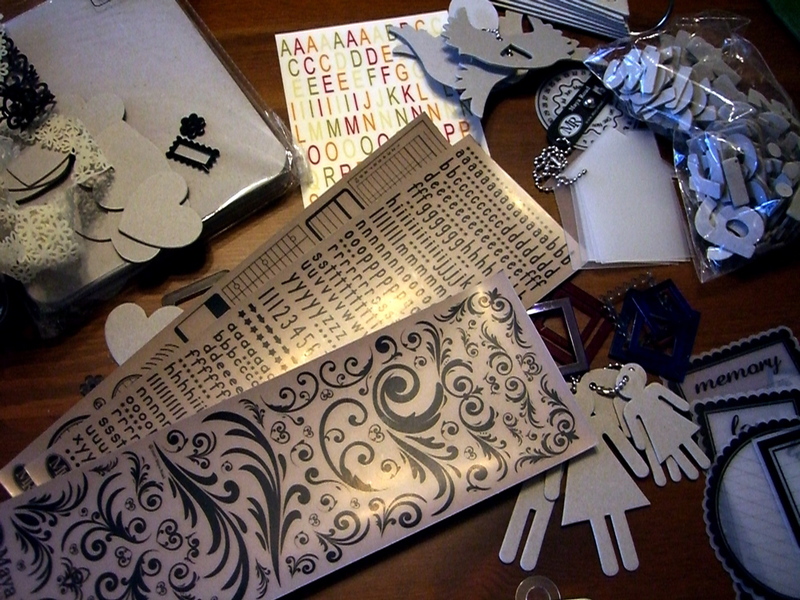 The crafting world has potential to be a big waste producer, but at the same time, can also be a wonderful source of upcycling and recycling! Buying handmade products enriches our cultural capacity and can help sustain people in many different ways. Let’s all work toward maximizing the potential GOOD crafting can do. Gmail, wonder of web wonderfulness, will help me track how many comments each person leaves. I’ve already started the tally. Unfair, you say? No, not really, because I’m not interested in having people comment just to win something. The fine ladies of Sunday Scrappin’ leave sweet and supportive comments and I’d like to believe that a sense of community is their only motivation. So, if you’ve left a comment for me before, you are already in the tally. The top number is FOUR comments, but I won’t tell you who has that (and if you spend any time at all searching through my blog to figure it out, I can suggest a better use of your time…;-)). In Gmail, I’ve even color coded top commenters vs. occasional commenters using labels. At any rate, when I reach 1000 hits (not comments), my top commenter will receive something. I guess it isn’t really RAK, because the act of kindness itself isn’t random, but it will be something fun and craft-related. I’m not going to say what it is because 1) I don’t know yet and 2) again, I don’t want “the prize” to be the motivation. If you like what you see on my blog and feel moved to comment, great! I’m writing this on Thursday, actually, so this will be an experiment with the auto-post feature. 🙂 I won’t be around this weekend so, I won’t be able to Mr. Linkify over at Sunday Scrappin‘. But I did do this past week’s challenge: something fruity! I’m quite pleased with how it turned out. It might be the basis for a larger summer-themed LO someday. 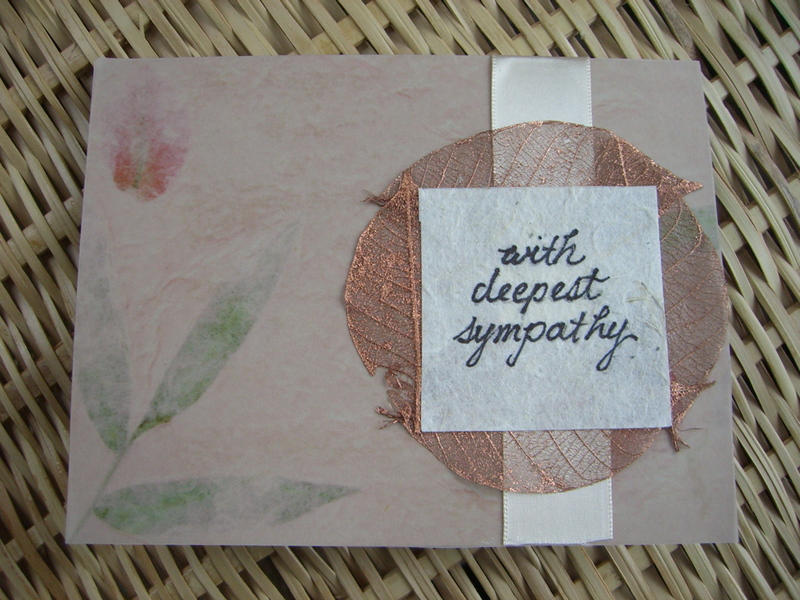 Or, an oversize card to send to someone. We shall see. MATERIALS: yellow scalloped cardstock (Target Scrapbooking Card Kit); red & black cardstock (Wasau Paper Classics Cardstock); black eyelets (Paper Source); 5th Avenue Shimmer Stickers (MakingMemories); White-Out; Green Sparkle embossing powder (JudiKins); Glossy green cardstock (for the rind). My first RAK (received! )…courtesy of Maya Road and Creative Therapy. I’m quite pleased with the Maya Road stuff, especially because I have very little in the way of supplies. 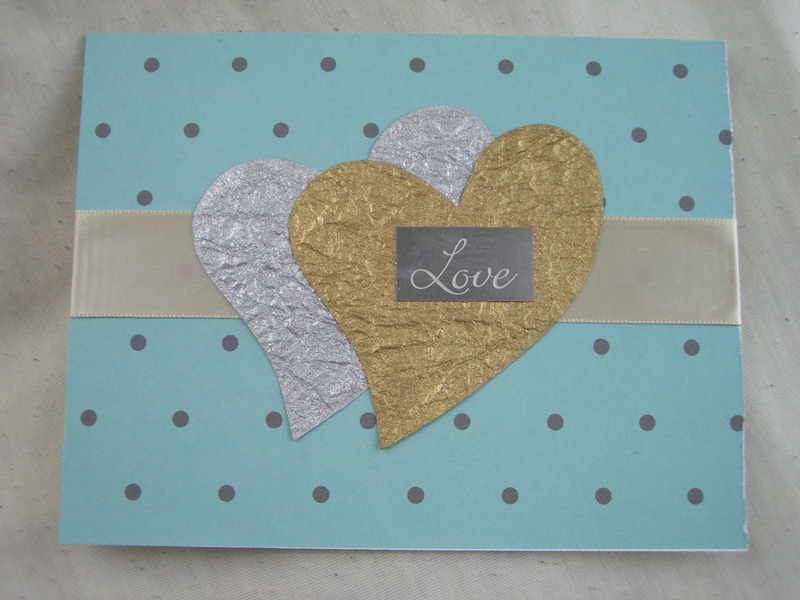 I’m just now starting to get into chipboard, so the chipboard letters are PERFECT! The colors aren’t quite right in the photo, but you get the idea. MATERIALS: Strathmore Imperial Watercolor 140lb Cold Press post card; Scrap Pack (Target $1 bins); Scrapbooking Paper Tags (Target $1 bins); Dashes, Dots & Checks Ribbon; FREE Cake and cakestand Template from Inspire Co (reduced); Happy Birthday stamp (Stampendous); ColorBox Rosebud pigment, and Rainbow Sparkle Lite embossing pwdr (JudiKins). The $1 bins at Target are the theme for this week, as you will see with Sunday’s post. Stay Tuned! Here’s the 30th-birthday card. 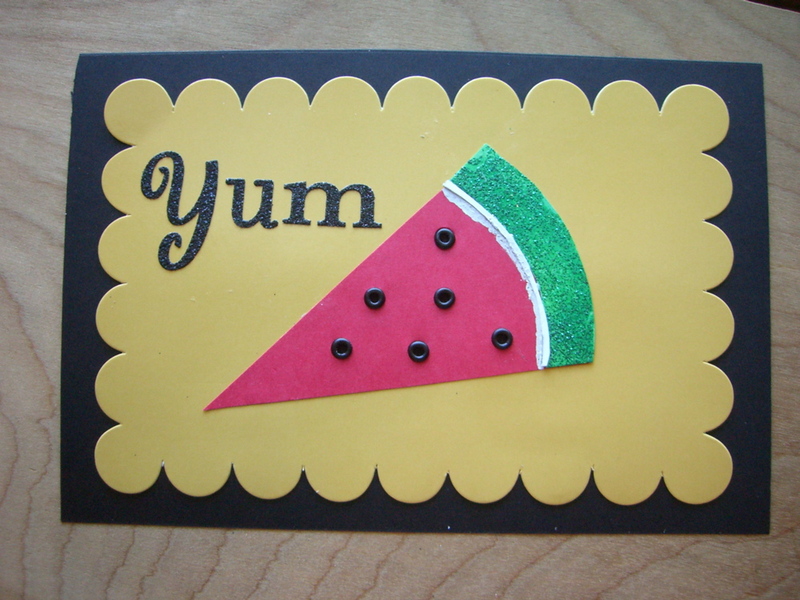 I bet you can guess what rhyming word is prominently featured on the inside of the card? 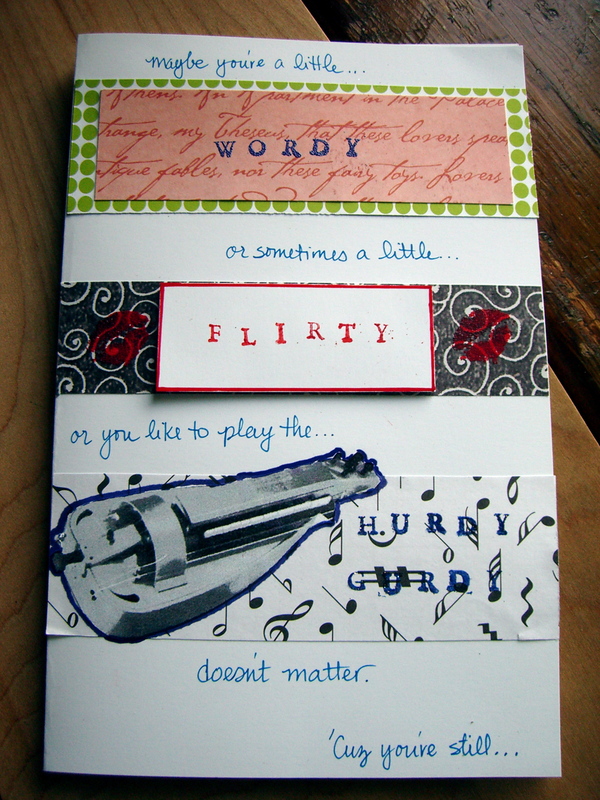 It reads: “Maybe you’re a little wordy, or sometimes a little flirty, or you like to play the hurdy-gurdy. Doesn’t matter ‘cuz you’re still…___________.” My friend, for the record, is neither wordy, nor flirty, and to my knowledge, does NOT play the hurdy-gurdy. MATERIALS: Capris Basil, verso side (Capr 1003 from Luxe Designs); Gold_Cerulean_Pink Stripe, verso side (SR176 Sarah Milne for Scenic Paper Route Co.); Musical Notes (No. 0191 from Design Originals); Hero Arts (blog) Printer’s Type Alphabet woodblock stamps; and a “lips” stamp” from All Night Media All-Stars II set. I also received a set of fun “spice” gift enclosures which I ordered from Daedalus Books (one of my favorite book & music stores). I figured for $3, I’ll find a way to use them! Edited to add: For reasons I don’t understand, I can’t see the picture in the actual post (I can in edit mode). If you have the same problem, scan over the blank space with your mouse and the preview pop-up window should work. 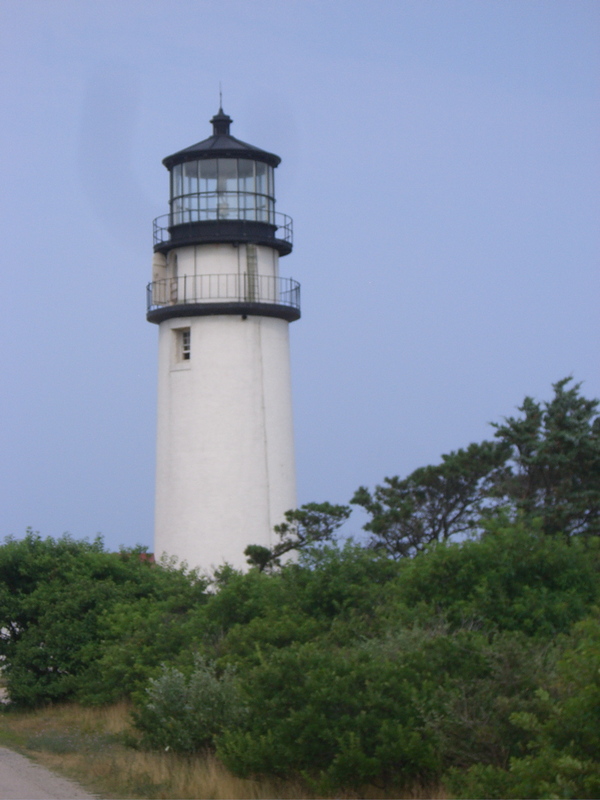 You can click on the picture and see the jpg. WordPress issue, I’m assuming.